Grey is the new white! This stunning Barcelona marble fireplace comes with a contrast of white micro marble and grey marble slips, highlighting the curved design of this fireplace. Downlights only emphasise this contrast more and makes the simplicity of this fireplace a desired feature. 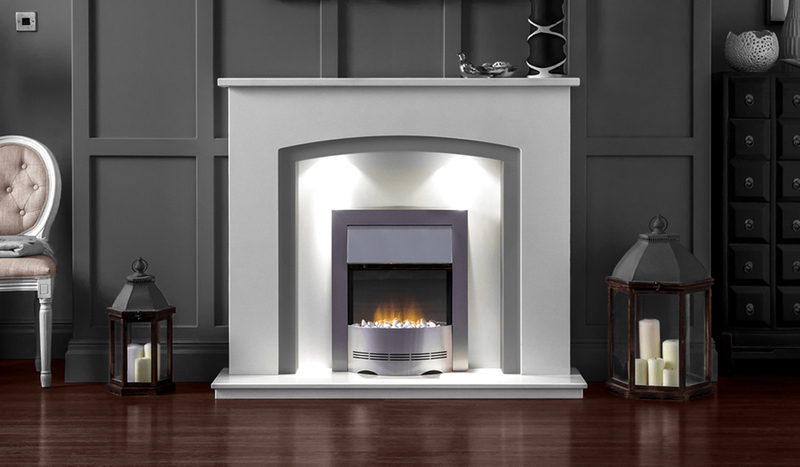 Perfect for the range of Inset Gas Firesand Inset Electric Fires we offer.